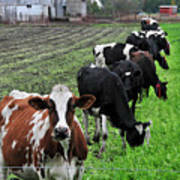 There are no comments for Cow Line Up. Click here to post the first comment. 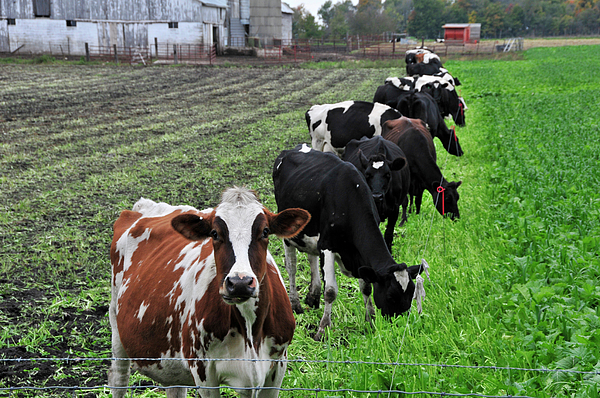 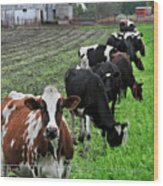 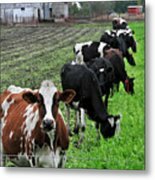 Cows grazing in a line with one posing for a picture.